Episode 2.06 - Never Been Kissed - Promotional Photos. . HD Wallpaper and background images in the Glee club tagged: glee season 2 never been kissed 2x06 kevin mchale artie abrams lea michele rachel berry cory monteith finn hudson. This Glee photo might contain drawing room, street, city scene, urban setting, and business suit. Chord Overstreet: Shirtless for 'Dreamers' Photography Book! 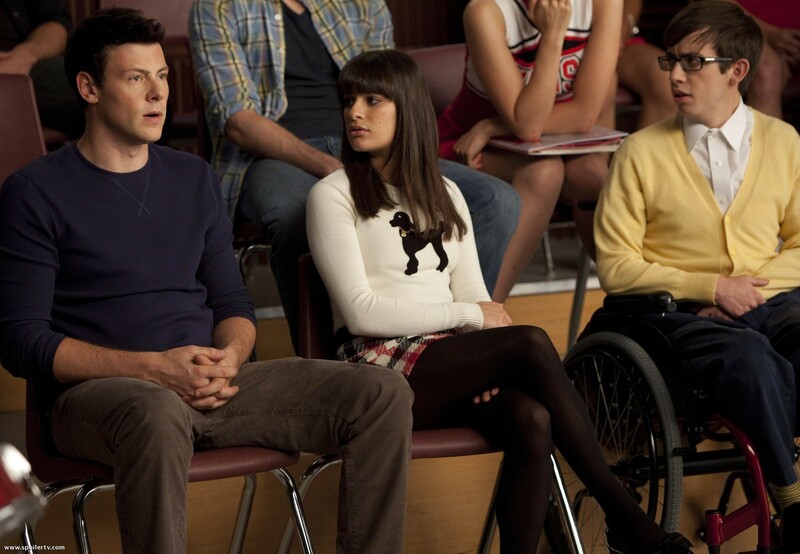 Is it bad that I LOVE Rachel's outfit?